The project, titled “Enabling Spectrum Sharing via Spectrum Consumption Models,” was funded with a $63,000 grant from Google’s Faculty Research Awards program. Google’s awards are designed mostly to support the research expenses of one graduate student to work on the project for one year. 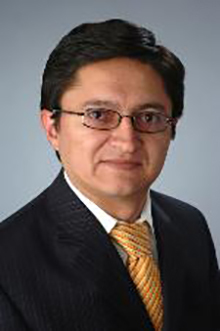 Caicedo, along with a Ph.D. student researcher, will develop a software solution that helps to determine spectrum use compatibility among multiple systems and methods to determine wireless spectrum use opportunities in a given area with the use of spectrum consumption models. The project would allow radio frequency managers to develop spectrum consumption models, and by exchanging these models with others, they would then be able to determine how wireless use and interference would factor into the provision and/or use of wireless services in a given area. “Our hope is that the adoption of this standard, as well as the tool, will help to solve the artificial spectrum shortage caused by today’s management methods, and prepare for future technology,” notes Caicedo.